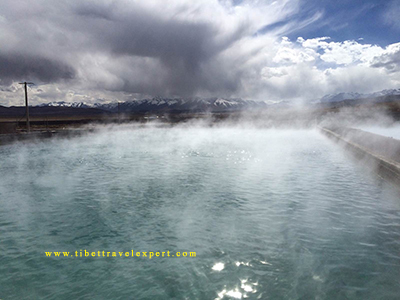 Yampachen (Yabajing) Hot Spring is located 90 Km northwest of Lhasa. 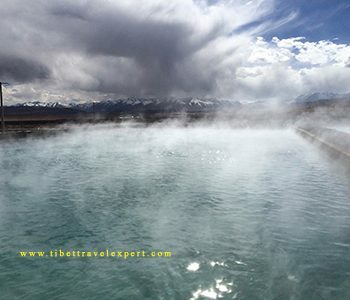 It is one of the most famous hot springs in Tibet for its rich hydrogen sulfide. Local people believe that frequent bathing in such water is able to cure many chronic illnesses. 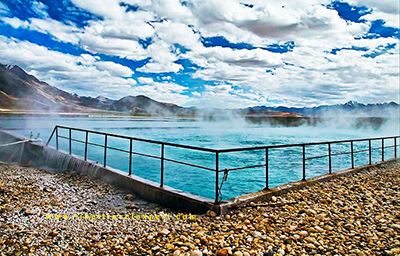 It is definitely a pleasure to enjoy hot spring in a high altitude area with the views of surrounding snow-covered mountains. 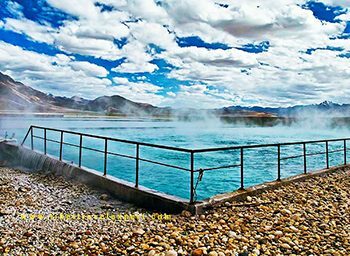 The hot spring is just on the way from Lhasa to Namtso Lake, you can choose to take a break and relax here on the way back to Lhasa after visiting Namtso. Do not forget to try the boiled egg here. 1. 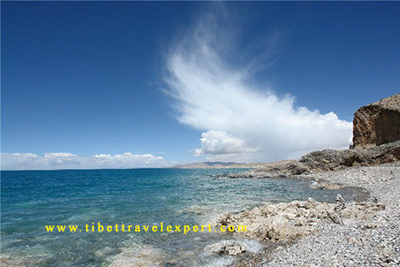 Yampachen is 4300 meters above sea level. 2. 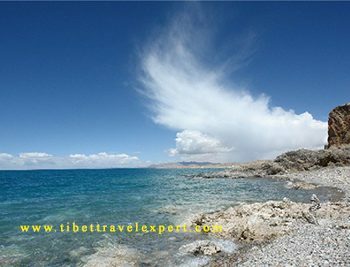 The Admission Fee is RMB120 (For high season), RMB 90(For low season).